Setup Area: See below for table sizing. 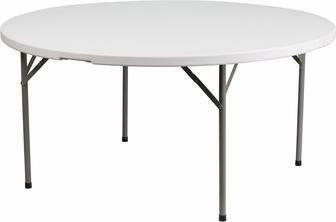 5 foot round (60 inch) folding tables will seat 8-10 guests each. Table diameter is 60 inches. Table height is 29 inches.